Despite mounting evidence that reduced car travel could provide a panacea for many ailments of modern life, it seems the message is too-rarely translating to action. Last month (October) cyclists were given an armoury of ammunition to fire at recalcitrant governments by visiting Roger Geller, bicycle co-ordinator for the City of Portland, Oregon. Once a typical, car-focused American city, the state capital has transformed itself by building the most comprehensive bikeway network in the USA. As a result, the number of residents who consider cycling to be either their main or second means of transport is up to 18%. – higher in some areas. Geller believes the key to Portland’s success has been extending the 10 kilometers of bike paths that existed in 1980 to a 500-kilometer network that criss-crosses the city today; paths range from lines painted on roads to separated ‘Copenhagen-style’ tracks with their own stop signals. “We started with the easiest roads first – those wide enough to create bike lanes without it impacting other traffic – and we’ve slowly tackled harder and harder streets as we won more political momentum,” Geller explains. Bike paths are signposted with direction, distance and approximate riding time, addressing the misconception that cycling is slow. Portland’s building code says all new buildings must have long- and short-term bike parking and developers are given incentives to include showers and lockers. Bikes can be carried on buses, light rail and trams. Geller is quick to point out that while engineering is a key ingredient, other ‘Es’ of cycling are also vital: Encouragement, Education, Enforcement and Evaluation. A major bonus for the city are statistics that show, in a city of many bridges, it is the bike traffic that is expanding, while car numbers stay the same. Poor diet and lack of exercise is the second leading cause of avoidable disease in America. “For the first time in history, our children are destined to have shorter life expectancies than their parents, and we have to do fix that,” Geller says. A goal adopted by Portland city fathers is to get people out of cars and walking. Quoting Danish statistics, Geller believes cyclists save between 25 cents and $1 on health costs for every kilometer they ride. “This has huge ramifications for employers, who often pay health cover in US – plus fewer sick days,” Geller adds. Safety-wise, Portland’s figures are encouraging, with the number of cycling incidents and injuries holding steady despite more cyclists. “Cyclists today are four times safer than they were 10 years ago,” Geller cites. Helmets are compulsory for riders under 16, but surveys have found more than 80% of all riders wear helmets – up from about 45% in the 1990s. Winning support for bicycle road space became easier since businesses recognised riders as valuable customers. Portland residents drive about 6.5 kilometres a day less than the national average – together saving US$1.2 billion a year on transport. “We buy less gas and fewer car parts, and don’t replace cars as quickly,” Geller explains. Of that US$1.2B, about $800 million is spent locally instead. “People who ride bikes have more money in their pockets,” he says. “Businesses are noticing that and are asking for on-street parking to be removed and replaced with corrals for more bikes. “There are currently 51 in city and 11 in the works, and 65 more have been requested,” Geller says. New ventures have also sprung up to meet the new demand, such as a bike-friendly guest house, a community cycling centre and at least two boutique bike manufacturers. An amazing 4000 cycling events are held in Portland annually, from pub crawls, mystery rides and heritage tree tours through to major events such as Peddlepalooza, Bridgepedal (20,000 participants) and the famous World Naked Bike Ride, which attracted 11,000 riders in 2010. 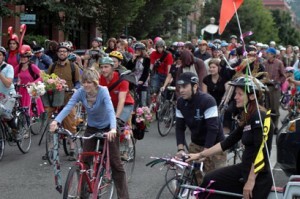 “There are a lot of ‘bike funnists’ in Portland,” explains Geller. While more families and children are taking to bikes – and Portland-built cargo bikes are seeing more businesses use bikes – a challenge identified by the Community Cycling Center is encouraging cycling in Hispanic and other ethnic communities, many of whom live in outer suburbs where the bike network is weakest. Now that the pro-bike lobby has some momentum, future plans include tripling the amount of bike lanes to 1500km, and making life harder for motorists by reducing their share of roads. “Originally our policy aimed to make bicycling an integral part of transport. The Strong and Fearless, who will ride whatever the weather and even without bike lanes – about 1% of the population. The Enthused and accomplished, who will only ride on bike lanes. This 18% are the ones the new Portland network has won over. About 30% are ‘No Way, No How’ and will never cycle, whatever you do or say. About 50% are Interested but concerned and want to ride but are terrified of bike lanes and traffic. “This last group is who we’re now focused on,” Geller says. To reach them, he believes the city needs a network to the standard set by Amsterdam and Copenhagen. Portland has a population of 580,000 people and covers 380 square km. If Portland rebuilt its bike network from scratch today, it would cost $60 million – roughly equivalent to buying 1.6km of urban freeway. Portland spends 0.7% of its capital money on bike infrastructure but Geller warns that you get what you pay for – currently spending is at about $2 per capita, but he would like to see it increased to $18 or $10 million more a year. Metrofiets, which makes cargo bikes to order, has crafted a bike for a local brewery that stores two beer kegs under an inlaid wooden bar, and boasts pizza rack and sound system. Two thirds off all trips are now made by car in Portland. About 50% are trips of 5km or less. Geller said he was particularly impressed with the level of investment and the quality of the facilities being built in Sydney. Melbourne reminded Geller of Portland. While in Australia Geller met MPs and councillors in NSW and Victoria, as well as VicRoads. “I thought there was a high level of interest among all with whom I met and they were clearly open to learning what they could from me. Despite bigger houses and more electrical goods, Australia’s domestic energy use is expected to fall in relative terms. This is mostly due to more energy-efficient appliances and homes – primarily led by government ‘carrot-and-stick’ programs. The Star Rating system helps shoppers choose the most energy efficient refrigerators, freezers, dishwashers, clothes washers and dryers, while Minimum Energy Performance Standards (MEPS) ban the sale of inefficient goods in Australia. But there are still loopholes and even the ‘easy-to-read’ star ratings system needs to be approached with caution. Also, underlying all the statistics is a common truth that the way a product is used, and how often it is replaced, often makes the biggest difference to your energy bill and footprint. Energy Rating Labels for all whitegoods became mandatory across Australia in 1992. More stars means greater efficiency (to a maximum of six or 10) – but this only works when comparing models of the same size. A larger machine may have more stars than a smaller model, but it will almost certainly use more electricity. So decide what size you need then choose the model with most stars. Gas-powered appliances are not star rated. Introduced to domestic fridges and freezers in 1999, Minimum Energy Performance Standards (MEPS) were rolled out to light bulbs, televisions and set-top boxes in the past two years and will apply to computers from June 2011. However a 2010 Federal Government report found the standards were being undermined by different interpretations of ‘supply and sell’ across state and territory laws. Another loophole allows users to import directly from overseas; so long as the product is not on-sold in Australia, the regulations do not apply. Life Cycle Assessment looks at all the cradle-to-grave impacts a product has, from raw materials through processing, manufacture, distribution, use, repair and maintenance, to disposal or recycling. For whitegoods, the in-use phase dominates, says Tim Grant, director of Life Cycle Strategies Pty Ltd. While white goods have a high level of embodied energy from their manufacture, he said: “there are reasonable recycling options so those materials can be reused”. With few longevity statistics available, Choice magazine bases its recommendations on customer feedback on reliability. Longevity statistics are hard to find, agrees Aleks Efeian, marketing and communication executive for Bosch and Seimens Home Appliances (BSH) – partly because “how a product is used will impact on its longevity so manufacturers are hesitant to release those details”. Instead, he says “BSH aims to reduce our total energy use per tonne of product by 15% by 2013” and other manufacturers are setting similar targets. Most new washing machines are only plumbed to the cold tap because heating water internally, while using more energy, is more efficient than using water heated by electric systems. But with more households now using solar power or having solar hot water systems, there is a push for manufacturers to include dual taps to access this ‘green’ resource. Size, sensors and smart electronics have all helped whitegoods become more efficient in their use of energy, water and, where relevant, detergent. Generally machines with larger capacities are more efficient relative to smaller ones, but of course a single person using a family-sized freezer or washing machine is not be an efficient use of power. Choice magazine also found some washing machines did not perform well when filled to their claimed capacity, indicating some manufacturers might exaggerate this to gain a higher efficiency rating. Lower water use has had an unfortunate knock-on problem – detergent residue on clothes, although this happens less with liquid detergents. No matter how efficient a machine is, if it’s only being run at half full, it will be half as efficient. However, many machines – especially washing machines and dryers – now have sensors and will reduce the cycle or water use depending on the size of a load. Dishwashers with dual drawers are a good option for small loads. Some of the biggest energy savings have been in the field of fridges and freezers; the E3 Committee, which monitors MEPS and the Star Rating system, found that in 2003, 88% of refrigerators sold did not pass 2005 MEPS levels, while in 2009, only 0.3% models sold failed, and many of these were old stock. But when buying a new fridge, the biggest favour you can do for the environment is to recycle your old one instead of using it for beer in the garage; the refrigerator is the single biggest power consumer in many households and about 30% of households own two. Nearly 60% of households own a separate freezer. The star rating system has not served chest freezers well because they are rated on a different scale to upright freezers. As a result, many appear less efficient, while nearly all are inherently more efficient and cost less to run. The next generation of dishwashers will reserve the rinse water and, if it’s clean enough, hold it for up to two days to reuse on the first rinse of the next wash.
“Our most efficient machine uses just 12.3 litres of water to do full load, compared to up to 75 litres used in hand washing,” BSH spokesman Aleks Efeian said. However humans use less electricity. And, while the best clothes dryers are rated at six stars (out of six), the greenest clothes dryer is still sunshine and a rack. If you’re not keeping a fridge at least two thirds full or a freezer at least three quarters full, it’s probably too big for your needs. Automatic ice-makers and through-the-door dispensers increase a fridge’s energy use and price. Manual defrost models tend to use less energy than frost free models, but must be defrosted regularly to remain energy efficient. If you have cheap off-peak power, run dishwashers or clothes dryers overnight. Externally venting dryers may save energy, to avoid moist air being recirculated. A ‘suds save’ option can save water and detergent if washing more than one load at a time. Avoid placing a fridge or freezer where it will be in direct sun and allow plenty of air to flow around it. Cool food before putting in the fridge. Use a thermometer to check fridge and freezer temperature. Freezers should run at -15°C to -18°C while fridges 3°C to 4°C. Keep fridge seals clean and don’t leave doors open. To calculate the rough cost of running an appliance, multiply the energy consumption figure in Kilowatts by the rate you pay per kWh – approximately 18 cents. For an estimate of an appliance’s emissions, each kWh equates to about 1kg of greenhouse gas. Hot water entering the machine must be no hotter than 60°C, so Choice magazine recommends installing a tempering valve on solar hot water heaters if there isn’t a controller already fitted. Horticultural heroes is a new series of features being run by Your Garden magazine. RUNNING a restaurant is not the traditional training for entering the plant industry. But then, despite being a second-generation nurseryman, Clive Larkman is not a traditional gardener. Yet he has a burning passion for discovering new plants – a passion that sees him travel overseas most years to hunt down new species. He imports about 200 plants a year – although sometimes only half of them are ever released. And every so often, he’ll come across a plant or genus that totally fascinates him, and he won’t rest until he’s learnt all about it. 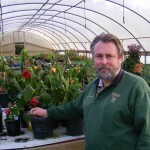 This hunger for knowledge has brought a wealth of plants to Australian gardeners; after being checked through quarantine, plants that Clive and his wife Di bring back are tested for hardiness, propagated, then finally made available through the plant wholesalers that Larkman Nurseries supplies. It’s a long, slow process. Before leaving England or South Africa or wherever he’s been plant hunting, all plants must be bare-rooted, cut right back and jammed (carefully) into bags then boxed for the flight home; consequently he routinely loses 40% of stock in transit – he once lost his whole cargo after the plants were sprayed before landing – and a grass he imported in 2002 has only just been released from quarantine. He was in the UK in September 2001 when the 9/11 terrorist attacks took place. But it hasn’t stopped his overseas plant-hunting trips. 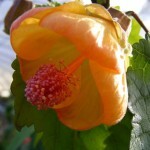 “We’ve got two new abutilons and some rather unusual Veronicastrums due for release next year. And on our last trip we collected 3 or 4 yellow, moisture- and shade-loving salvias,” he marvels of the unusual gems he discovered in a specialist nursery in north Wales. While he names a few of his overseas sources, the Welsh nursery is a mystery he won’t share. 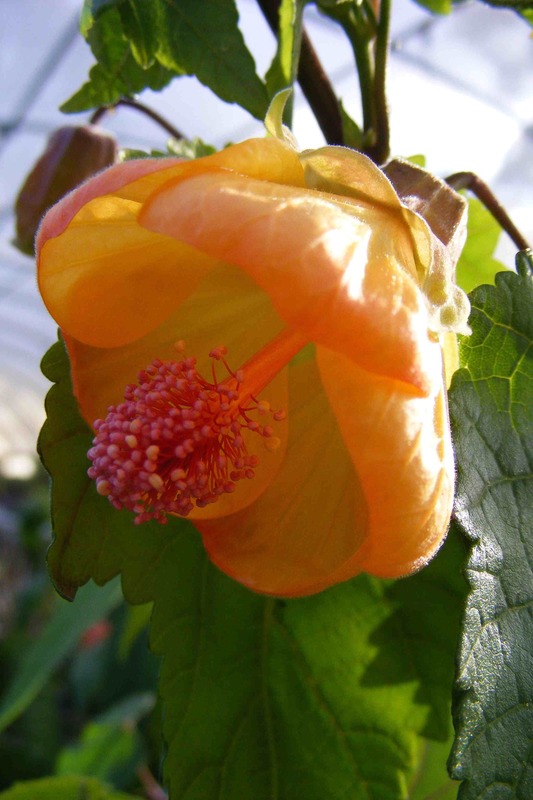 Clive is also fascinated by the stories behind plants; what the name means, why it was chosen, who discovered the plant and how it was brought into cultivation. However plant lovers can’t rely on his being in the industry forever; he has not given up his dream of one day getting into politics, which is, bizarrely, how he came to be running a restaurant. “My problem in life was choosing what to do – there were so many things that I wanted to do or could have done,” he says. So, after studying botany and zoology, he headed overseas to travel and get some life experience. He worked as a handyman in the US for 18 months, ran a restaurant in the UK for a year then explored more of the country via a truck-driving job. “Then my dad (nursery founder Barry Larkman) had a heart attack so I came home, and five weeks later he was dead. 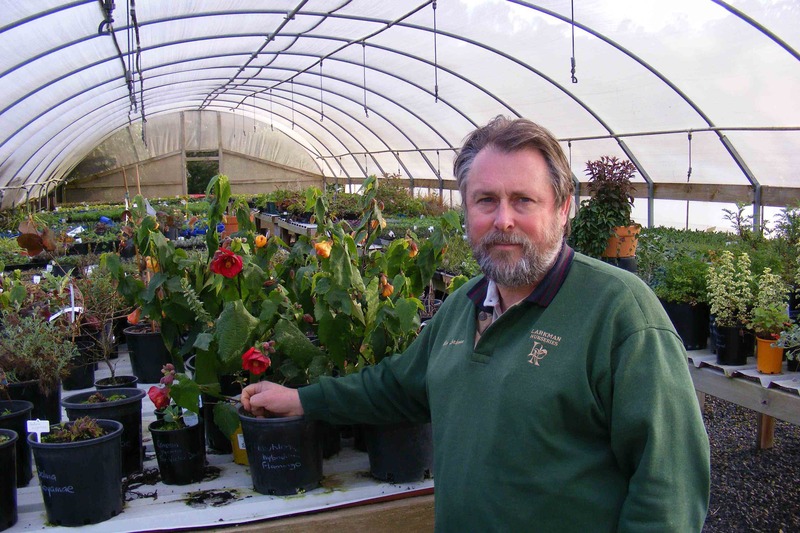 Since 1989 he has built the nursery up from six staff producing 300,000 plants a year to a peak of 40 staff producing 2.5 million plants about three years ago, as well as adding a mail-order business and buying the Victorian agency of Renaissance Herbs in 2007. “My aim was to build (the nursery) up to a certain stage before getting into politics. I got the business going well but then we had the drought and GFC and so now I’m building it back up again. Clive has already dabbled in local politics, serving a term as councillor on the Yarra Ranges Shire council and involved in numerous committees, boards and groups, including being president of the local chamber of commerce, Victorian state president for the Australian Institute of Horticulture and treasurer of the Australian Region of the International Plant Propagators Society. You might think that would have involved enough bureaucracy to last a lifetime, but Clive sees it differently: “If you want to make the world a better place you do it from the inside, not the outside. Clive is also a life member of the Australian Lavender Growers Association, having dedicated much time and effort to discovering as many varieties of Lavender as possible, and writing a start-up guide for prospective lavender farmers. “I’m a botanist so plant nomenclature is key for me; I started trying to sort out lavenders because their names were a mess – by the time I finished I knew more about lavender than most lavender growers in the country, so we just started expanding our lavender range; then we did the same with rosemary and we’ve got a huge collection of mints I’m trying to understand at the moment,” he explains. Past imports that are now perennial favourites include Lavender ‘Avon View’, Sisyrinchium ‘Devon Skies’ and numerous penstemons and salvias. Of the 2,500 plants Larkman Nursery grows, about 40% are Australian natives and 250 are herbs. The latest plant to grab Clive’s attention is Chia – a blue- or white-flowered salvia (S. hispanica) from central America now widely acclaimed for its health properties. Research is a key part of Clive’s work and his office – part of a collection of sheds and plastic tunnels strewn across a steep hillside with views across Yarra Valley – has a bookshelf crammed with hundreds of titles, but he is finding he needs them less and less. Like his father, who launched, rebranded or wrote for a number of horticultural publications before starting the nursery, Clive writes for several trade journals, and is a regular guest on Melbourne’s 3AW gardening program as well as weekly presenter on Channel 9’s Garden Gurus show. Other hobbies are eclectic, from collecting antique books to riding his anniversary edition Harley Davidson. With his mother still involved in the business, his partner Di in charge of its day-to-day management and one of their three sons, Simon, working in sales, it is a truly family affair – but Clive still believes a good business owner should aim to make themselves redundant. Working seven days on the business at the moment, he may still have a way to go on that plan.